Recently, SBM vertical mill project team spread the good news that the LM130M coal mill complete system purchased by Vietnam local well-known non-metallic ore supply company from SBM has been completely installed only taking five months, and formally put into production in October 2015, the project was successfully completed. This is a classical case that SBM LM vertical mill successfully conquers another Vietnam customer. The LM130M coal mill complete system and scheme used by the Vietnam customer are an overall production line scheme researched and developed by SBM according to the actual situations of local lime kiln fuel demands and project details, and independently designed and developed by after-sale installation team. 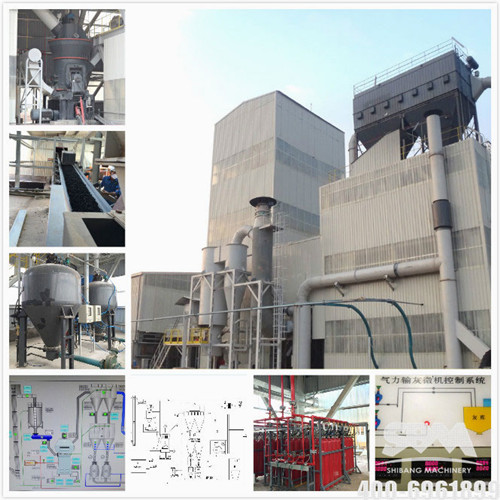 In addition to the unique advantages of SBM LM vertical grinding mill, the project general contracting service and entire project cycle are more attractive to customers. The customer is a local well-known non-metallic ore supply company in Vietnam, with very high popularity. The company was very cautious from the selection of manufacturers to project negotiation, after on-the-spot investigation, finally SBM successfully obtained trust from the customer and reached cooperation intention by virtue of its strong brand and scale advantages. The project is a general contracting project independently designed by SBM R&D center project team, and jointly completed by SBM R&D center project team and professional service engineer team such as installation and debugging, etc. After formally put into production, the project has been highly praised by the customer. Recently, the after-sales service team received feedback from the customer that it hopes to discuss with SBM about the cooperation in Phase II project. 1. Project general contracting service: Project general contracting service is an independent and innovative design of SBM according to the customer's requirement for production convenience. Project general contracting service includes on-site topographic reconnaissance and other environmental investigation, production line process design, raw material testing, finished product requirement analysis, customer investment cost budget, equipment installation and debugging, etc. 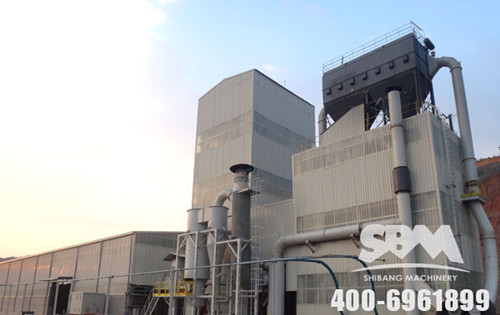 The successful implementation of Vietnam coal mill project shows that the project general contracting service of SBM has been mature. 2. Short project cycle: From receiving the order to final completion of installation and debugging, the project only took five months. Because the customer had very urgent requirement for the supply and project delivery, after receiving the order, SBM immediately prepared production, after the overtime work of workshop workers and the installation engineers traveled long distances to Vietnam for field foundation making, installation and debugging, finally the project was completed in advance in October. The guarantee of short cycle relied on SBM professional and efficient management team and production system, experienced project coordination capability and high-quality installation and after-sales team. After the raw coal is conveyed by the charging conveyer to the crusher for crushing, the raw coal is lifted by the hoisting machine to the distributing conveyer at the top of the raw coal silo, the raw coal conveyed by the distributing conveyer to the raw coal silo is fed into LM130M vertical mill by the quantitative weighing belt conveyor through the air-locking feed valve. After powder selection by the dynamic and static separator for the ground material, the material enters into the special explosion-proof pulsed dust collector of the vertical mill for the collection of finished product coal fines, the collected finished product coal fines are conveyed by silo pump pneumatic conveying system to the middle storage silo, then conveyed to lime shaft kiln and used as the fuel of shaft kiln. Meanwhile, in order to meet the requirements of customers for safety and environmental protection, the system is equipped with pulsed dust collector to guarantee the dust removal effect; the system is equipped with carbon dioxide fire extinguisher, nitrogen gas explosion protection system and explosion valve, also equipped with oxygen analyzer, gas detection instruments, various sensors and other automatic control accessories, which can timely and effectively prevent the system safety accidents and guarantee the continuity of equipment running time to the maximum extent. The success of the Vietnam LM130M coal mill complete system benefits from the concept of SBM that it always takes customers' interests as the basic starting point and the powerful production and service system, and also verifies the strength of SBM that it still guarantees good sale under the tough economic situation.